The spleen is located in your upper left side of your abdomen and aids the body in the fight against germs and infection by filtering your blood. Symptoms can include an enlarged spleen, a low level in your blood cell counts, and pain on the left side. When the spleen is diseased or damaged and cannot be treated with non-surgical treatments, then the spleen is removed through surgery (splenectomy.) Spleen surgery is done under general anesthesia so the patient cannot feel any pain and is asleep during surgery. Open spleen surgery: an incision is made in the middle or left side of the belly below your ribs and the spleen is removed. The surgeon may inspect and remove other areas of your body that could be affected by your condition, such as cancerous lymph nodes. Laparoscopic spleen surgery: Several small cuts are made in your belly, and a laparosope inserted into one incision with a TV camera that guides the surgeon who inserts other instruments in the other incisions to perform the surgery. Because the incisions are smaller than open surgery, a shorter hospital stay and quicker recovery is typical for most patients. 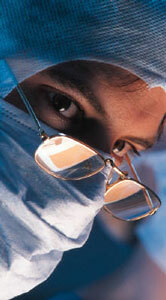 Prior to surgery your doctor usually performs a complete physical examination and blood tests. Your surgeon may also order immunizations to help your body fight diseases and transfusions to give your body extra red blood cells, since after spleen removal your body may be more likely to get common infections. You will likely discontinue taking any drugs that affect blood clotting like aspirin, and any other of your regular medications that the doctor doesn't wish you to take before and during surgery. The night before surgery your won't eat or drink anything after midnight. Patients usually leave the hospital after spleen surgery within a week with open surgery, or one or two days with laparoscopic surgery. You will heal complete in about a month following surgery.